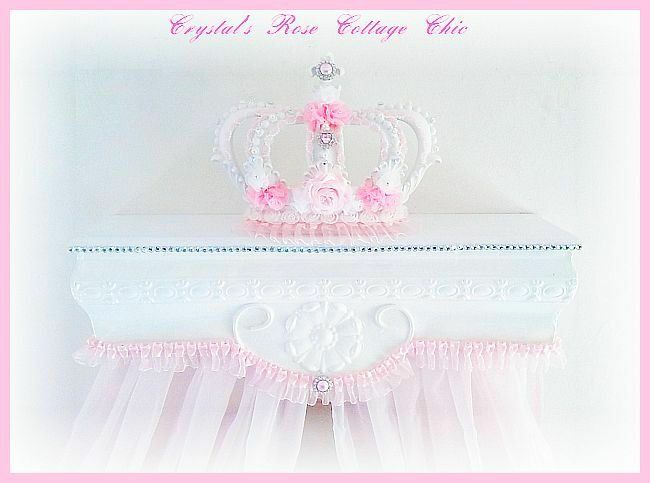 This beautiful bed crown will make any girl young or older feel like a princess! Embellished with beautiful organza rosettes with little rhinestone centers , pearls, pink satin rose, pink and white rosette trim, pink satin and organza ruffle trim and more rhinestones! 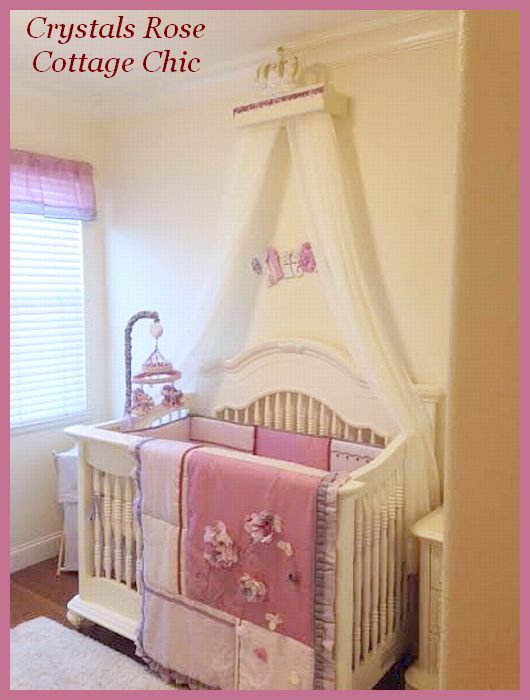 If pink is not your thing, we have other colors in the drop down menus so you can custom color create your bed crown and canopy shelf. 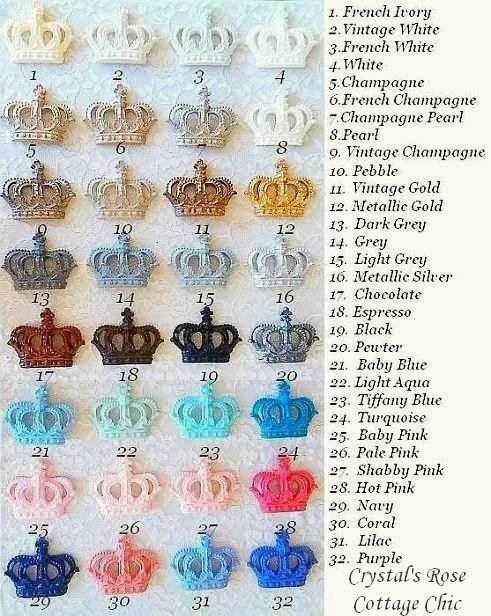 The crown has a Fleur de Lis at the top for a French look and is painted white. The canopy shelf is slightly distressed for a hint of that sweet vintageness we all love!. It is also embellished with pink satin and organza trim, rhinestone trim and a sweet pink pearl. The canopy shelf has a removable rod to hang your panels ..shown with pink, sheer panels which I do offer separately, please see link below. Crown is made of resin and canopy shelf is made of wood and metal. Measures 17" tall x 24.5" wide x 6" deep. Crown attaches securely to canopy shelf and canopy shelf has two key holes, mounting hardware not included but is easy to obtain and install. We suggest getting the type that is designed for your walls' material. Sweet dreams Princesses!